Hisense 65" ULED Ultra Colour, HDR Perfect, Elite Backlight,4K Certified, VidaaU Smart, Remote Now, One Touch Access, Depth Enhancer, Ultra Motion, Bezelless, Slim Metal Design, Sound by DBX-TV, DVBT2 , Retail Box , 4 year Limited Warranty. 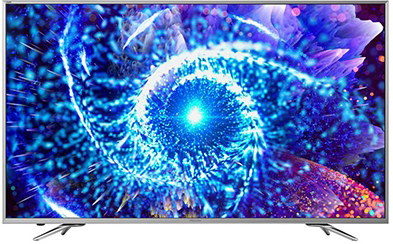 Be prepared to imagine a new era of television with the HiSense 55K760UW Series 55 inch Curved Ultra High Definition (UHD) 4K Direct Lit LED Smart TV with Built-in WIFI where Style and Luxury meet and one of the first 4K TVs to feature Ultra LED technology, a wider colour gamut and improved backlight scanning to lessen the effects of motion blur. 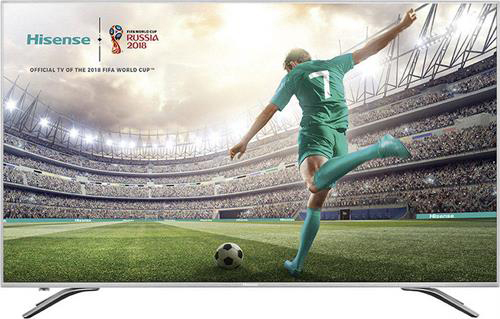 Added to this is a High Contrast Ratio for “Blacker” Blacks & Brighter Colours , To ensure less blur and more action this ULED TV sports 800Mhz Smooth Motion Rate (SMR) technology, which creates and inserts frames into the picture for smoother transitions. The benefit of this is a better viewing experience when it comes to high paced content. Experience great detail capabilities whenever you watch thanks to its brilliant 3840 x 2160 resolution. 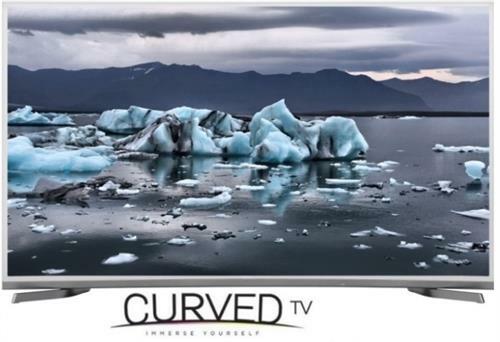 Connect your Ultra HD television to the Internet either through the Built-in Wi-Fi or through the Ethernet port and enjoy watching 4K videos from your favourite websites and streaming services. 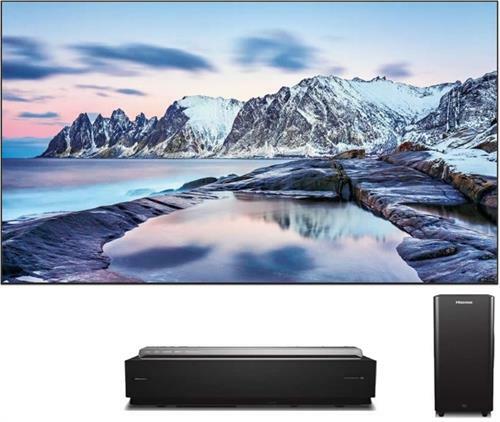 Various connectivity options are built-in to let this HiSense Smart TV work with many home theatre set-ups and other multimedia sources like USB drives and Blu-Ray players. 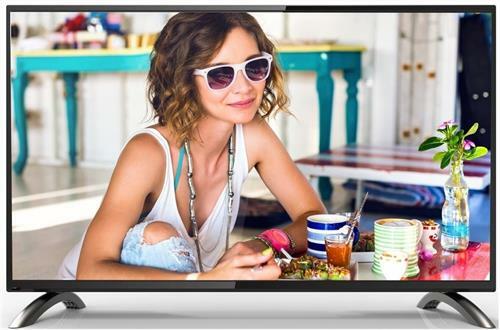 The internal USB media player of this Ultra HD smart TV includes both DivX and MPEG4/H264/H265 decoding for high compatibility for your video files. 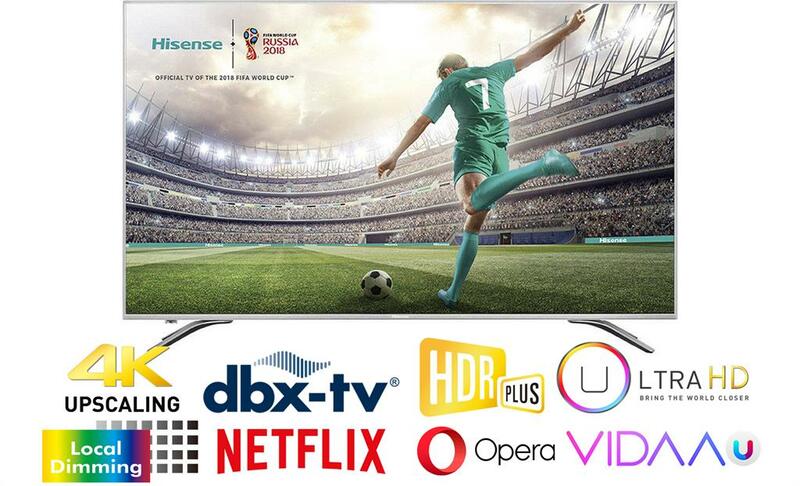 HiSense 65" Premium Ultra High Definition Smart TV – Resolution 3840 × 2160, Native contrast ratio 4000:1, Viewing Angle (Horiz / Vert) 176/176, Built-in Wi-Fi 802.11b/g/n/ac, Ethernet Lan port (RJ45 connector), Opera Web Browser, 3x HDMI inputs, 2x USB 2.0 ports, Retail Box , 3 year Limited Warranty. 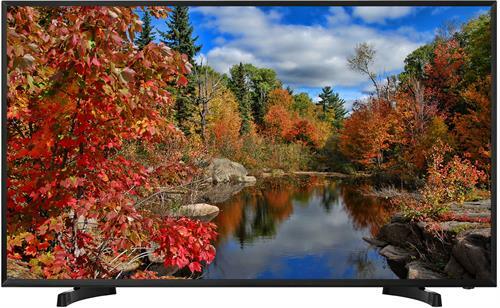 This TV features a complete range of audio technologies working together for optimal audio quality. 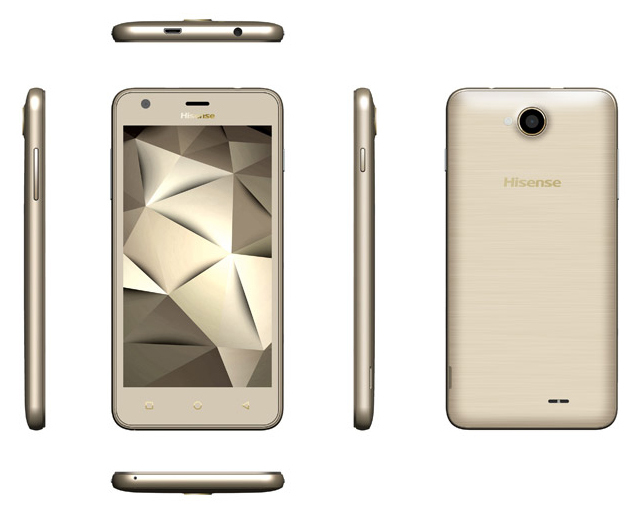 Use your Wi-Fi connection to wirelessly mirror content from your mobile device to your Hisense TV. Pause or record live TV straight onto a USB storage device, without any loss of sound or image quality, using the in-built PVR TV software. Hisense 65" Direct LED Ultra High Definition Smart TV – Resolution 3840 × 2160, Native contrast ratio 4000:1, Viewing Angle (Horiz / Vert) 176/176, Built-in Wi-Fi 802.11b/g/n/ac, Ethernet Lan port (RJ45 connector), Opera Web Browser, 3x HDMI inputs, 2x USB 2.0 ports, Retail Box , 3 year Limited Warranty. 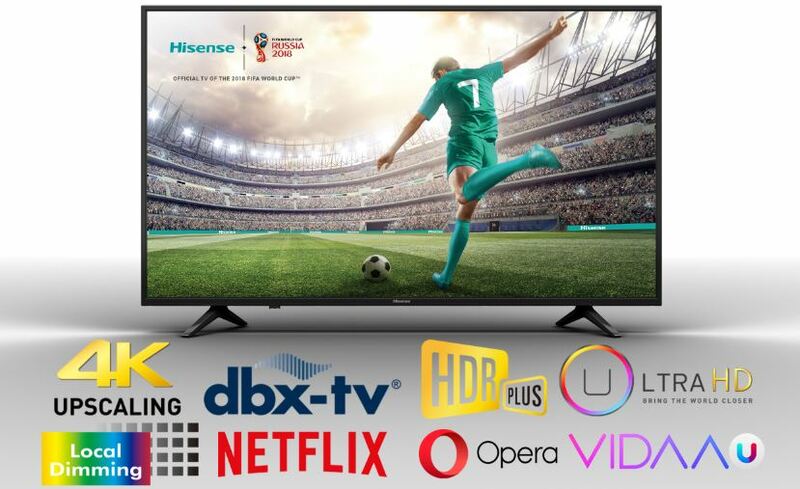 HiSense 55" Premium UHD Direct LED Smart TV – Resolution 3840 × 2160, Native contrast ratio 4000:1, Viewing Angle (Horiz / Vert) 176/176, Built-in Wi-Fi 802.11b/g/n/ac, Ethernet Lan port (RJ45 connector), 3x HDMI inputs, 2x USB ports, Retail Box , 3 year Limited Warranty. 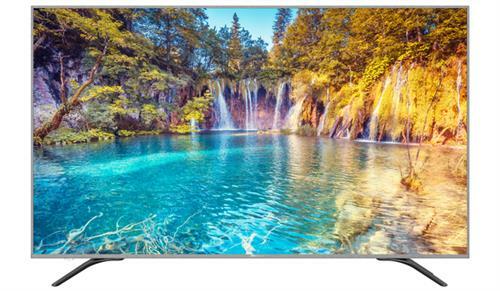 With the televisions of the Hisense A6100 series, it is easy to enter the UHD TV world. 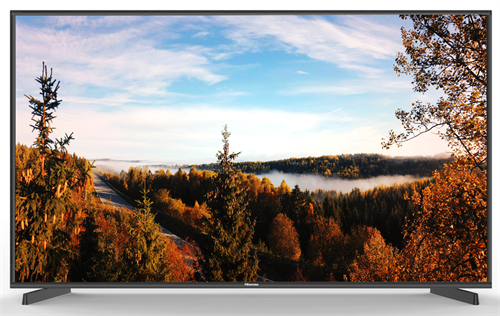 HDR and 4K Ultra HD technology ensure brilliant picture quality. The picture remains crisp thanks to its strong contrast. Ultra Color also makes recordings seem particularly vivid. HiSense 55" Direct LED Ultra High Definition Smart TV – Resolution 3840 × 2160, Native contrast ratio 4000:1, Viewing Angle (Horiz / Vert) 176/176, Built-in Wi-Fi 802.11b/g/n/ac, Ethernet Lan port (RJ45 connector), Opera Web Browser, 3x HDMI inputs, 2x USB 2.0 ports, Retail Box , 3 year Limited Warranty. HiSense 50" Direct LED Ultra High Definition Smart TV – Resolution 3840 × 2160, Native contrast ratio 4000:1, Viewing Angle (Horiz / Vert) 176/176, Built-in Wi-Fi 802.11b/g/n/ac, Ethernet Lan port (RJ45 connector), Opera Web Browser, 3x HDMI inputs, 2x USB 2.0 ports, Retail Box , 3 year Limited Warranty. 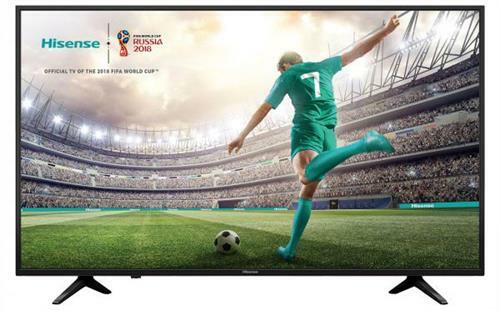 Hisense 49 inch LED Backlit Full High Definition TV- 1920 x 1080 Resolution, Colour Enhancer, VidaaU Smart, Remote Now, One Touch Access, Anyview Cast, App Store, DVBT2+S2, Narrow Bezel, USB movie, music and picture playback , Retail Box , 3 year Limited Warranty. HiSense 43A6100UW 43" Ultra High Definition Direct LED Backlit Smart TV – Resolution 3840 × 2160, Native contrast ratio 4000:1, Viewing Angle (Horiz / Vert) [Degrees] 176 /176, Built-in Wi-Fi 802.11b/g/n , Ethernet Lan port (RJ45 connector), Opera Web Browser, 3x HDMI inputs, 2x USB 2.0 ports, USB Playback, Retail Box , 3 year Limited Warranty. 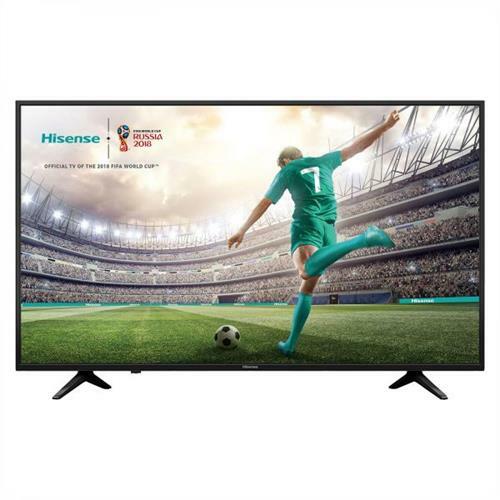 HiSense HN49N2176F 49" LED Backlit Full High Definition TV- 1920 x 1080 Resolution, Smooth Motion Rate 120Hz, Display Ratio 16:9, 2 x HDMI, 1x USB , Contrast Ratio 4000:1 , Image brightness 200 cd/ , 8ms Response Time (grey to grey), Retail Box , 3 year Limited Warranty. 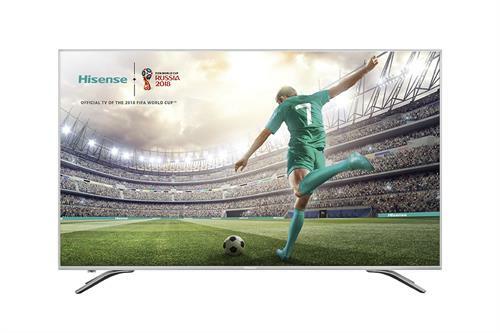 HiSense 43K3110PW 43" LED Backlit Full High Definition Smart TV- 1920 x 1080 Resolution, Display Ratio 16:9, 2 x HDMI, 2x USB, Contrast Ratio 3000:1 , Image brightness 200 cd/m.sq, 8ms Response Time (grey to grey), Retail Box , 3 year Limited Warranty. 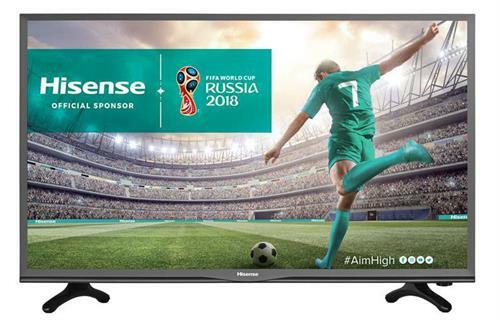 Hisense 43 inch LED Backlit Full High Definition TV- 1920 x 1080 Resolution, Smooth Motion Rate 120Hz, Display Ratio 16:9, 2 x HDMI, 1x USB , Contrast Ratio 4000:1 , Image brightness 200 cd/ , 8ms Response Time (grey to grey), Retail Box , 3 year Limited Warranty. 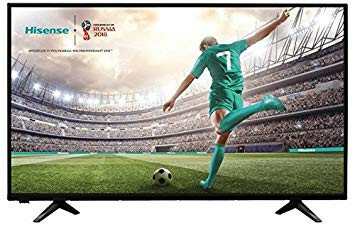 HiSense 40 inch Full High Definition 1080p LED Backlit TV- 1920x1080, Aspect Ratio: 16:9, 2 x HDMI, 2 x USB Port, 1x D-Sub 15 Pin VGA Connector,Viewing Angle (H/V) 176/150, Contrast Ratio 4000:1, Image brightness 200 cd/㎡, 8.5ms Response Time (grey to grey), Retail Box , 3 year Limited Warranty. 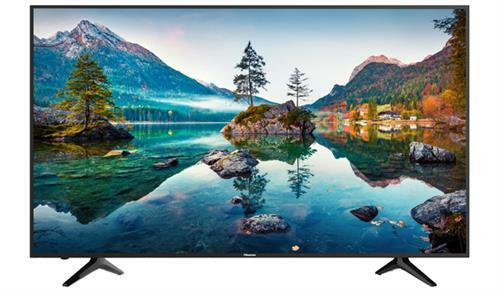 The HiSense 40 HX40M2160F Backlit LED 1080p SMR 100 FHDTV provides a fantastic entertainment experience with Full HD 1080p resolution. This 40 inch FHD TV features high brightness, an 8 ms response time , 5000:1 contrast ratio and SMR rate of 100Hz to ensure a great picture. Fly away into a world where reality takes the back seat to imagination, sensation and intrigue. 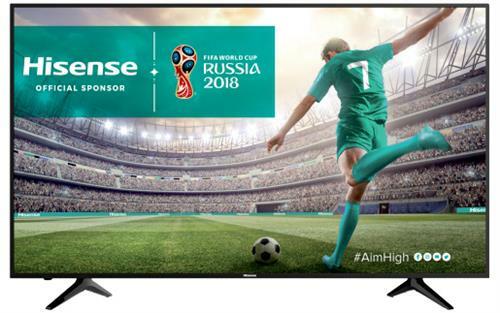 With HiSense 40 HX40M2160F Backlit LED TV the optical limits and boundaries of traditional television are defied and your imagination will leave you no choice but to indulge. 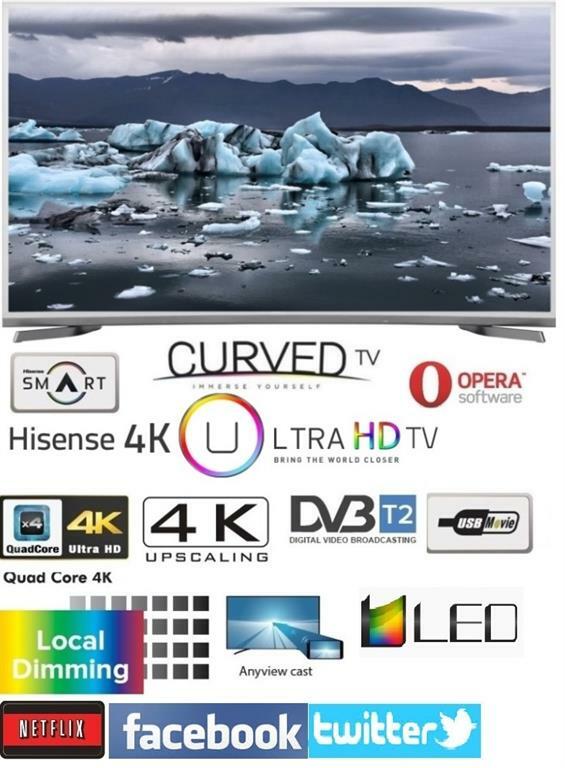 HiSense 32" HD Ready Direct LED Backlit Smart TV - Built-in Wi-Fi, Resolution 1366 x 768, Viewing Angle [Degrees] 178 / 178, Built-in Wi-Fi 802.11b/g/n, Ethernet Lan port (RJ45 connector), Opera Web Browser, 2x HDMI inputs , 2x USB 2.0 ports, USB Playback, Earphone jack, Retail Box , 3 year Limited Warranty. The Hisense 32 inch Direct LED 720p SMR 60Hz HDTV provides a fantastic entertainment experience with HD 720p resolution. 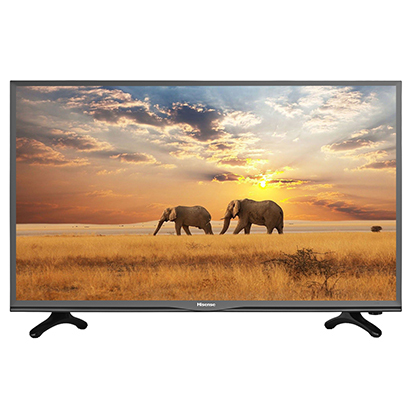 This Direct LED HDTV features high brightness, an 8 ms response time and a high dynamic contrast ratio to ensure a great picture. Note: You must have a source of HD programming in order to take full advantage of the Hisense 32" HDTV as the director intended. Get ready to dive into a pool of endless possibilities. 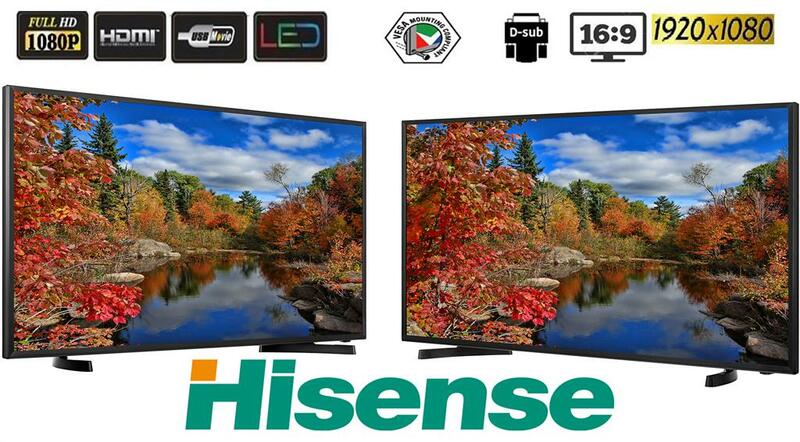 Perfect for any occasion, this Hisense Direct LED Series LED TV combines beauty and modern-day technology. The high definition and multimedia system will keep you and your guests in constant admiration when you have friends over to watch the game, or cuddle with your loved ones on movie night. This is relaxation defined. 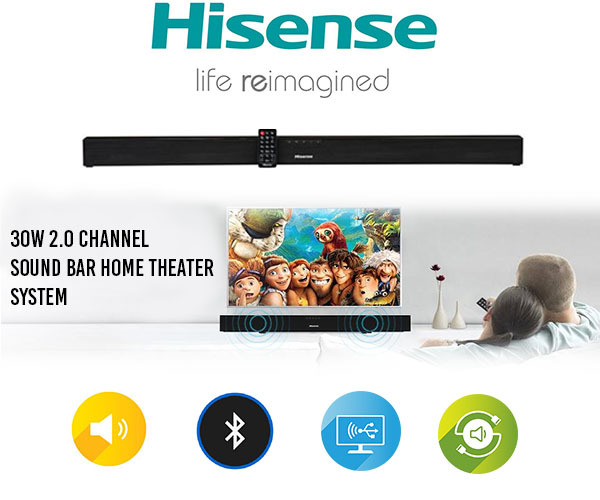 The Hisense 2.1-channel soundbar and subwoofer set will take your television audio experience to a whole new level. Whether you are enjoying the four custom audio modes of the soundbar or the rumbling base of the subwoofer, this remote-operated bundle will be a treat for your ears. Using Bluetooth® wireless streaming, you'll even be able to connect to your mobile device and enjoy your favourite digital music files. Finally, the included wall-mounting kit allows you to attach this soundbar to the wall and keep that sleek, stylish look you've always wanted for your TV room. 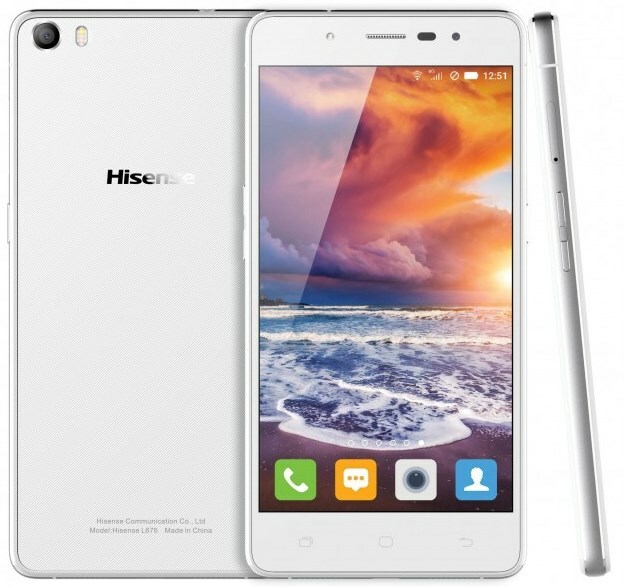 The stunning high performance Hisense L676 Infinity H7s Pure Shot LTE Smartphone is the best choice to stay closer to friends and family than ever before thanks to its beautiful design and 5.0-inches touchscreen display with 720 x 1280 pixels resolution (HD), which is sufficient for daily usage. 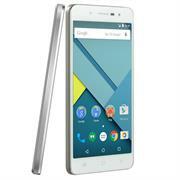 This device comes with lot of features such as Wi-Fi 802.11 a/b/g/n/ac, WiFi Direct, hotspot, Bluetooth 4.0, A2DP and A-GPS, GLONASS for best navigation. 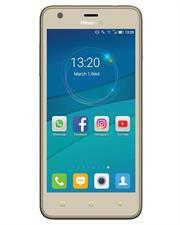 The primary Rear camera of this device is 13 Megapixels, Dual-LED Flash and Front camera is 5 Megapixels, LED Flash with amazing features Geo-tagging, detection, HDR, panorama 720p@30fps. 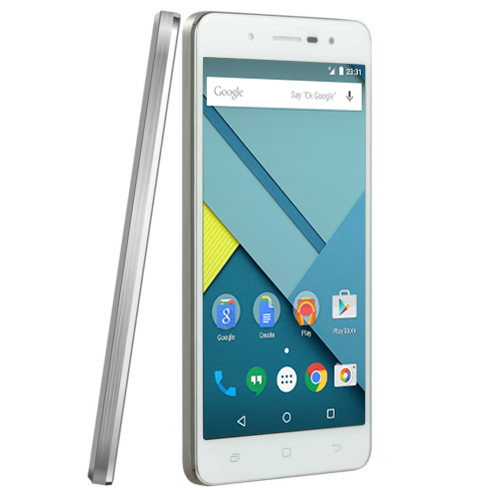 This unit operating system that comes standard is Android 5.1 (Lollipop) OS. 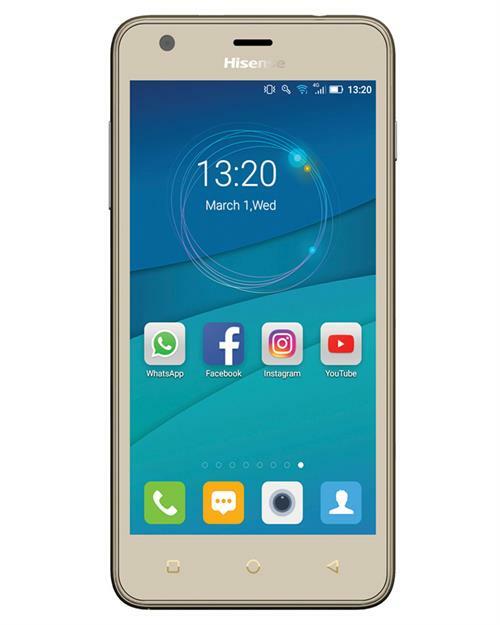 Hisense U962 Gold Smarphone - 8GB on-board memory, 1GB Ram, Quad Core 1.2GHz Processor, Front Camera: 2 MP, Rear Camera: 5MP Camera with flash, Battery: Removable 2000 mAh battery, Sim Type: dual SIM, Operating System: Android 6.0 Marshmallow, Retail Box, Limited 1 Year Warranty.